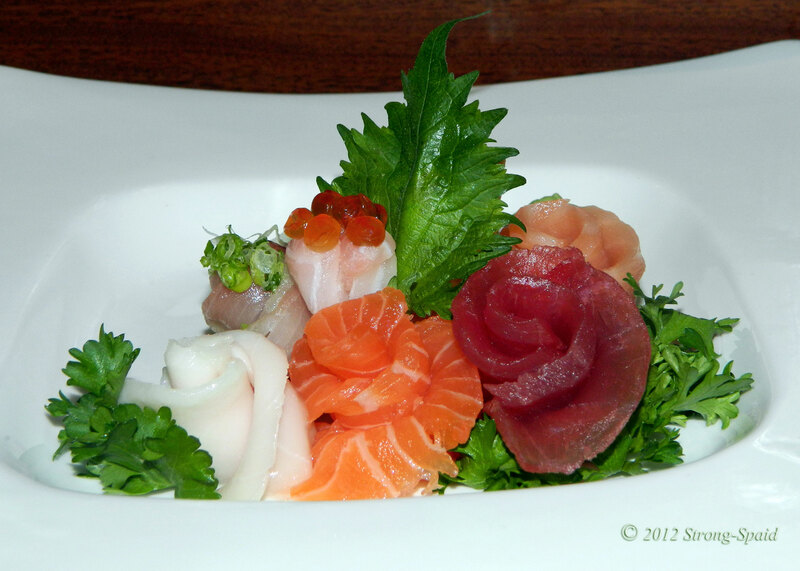 In the summer of 2011, when I first ordered sushi and sashimi at Umi restaurant, I couldn’t believe my eyes—incredible edible art! I knew I was still home in Virginia, but I felt like I had suddenly returned to the Hawaiian Islands. Was I dreaming? All of the food was created with such care and presented so beautifully, I just wanted to sit there and look at it. How could I justify eating fine art? Even though I had never taken photos of food before, I decided to solve my culinary dilemma by pulling out my camera before my husband Tom or I took a bite. Regardless of how hungry we are, it has now become mandatory to take a photo first (Luckily, Tom is a very patient man). The food is simply too beautiful. 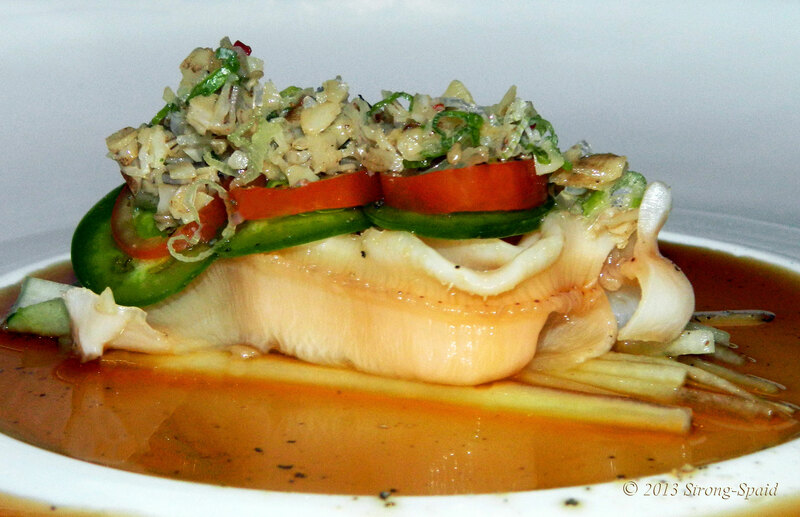 On my December birthday last year, even though it was cold outside, I was served the freshest flowers made of fish. It was wonderful. On another occasion, I had the chance to taste an avocado octopus. Actually, that’s not what it was literally—that’s just what I decided to name it. The octopus was reaching out towards me with its seven legs (must have lost one in a sea battle), begging to be eaten. Everyone who works at Umi seems to enjoy being there. This makes the entire dining experience even more enjoyable. I think people come for both the great food and for the great company. It’s always nice to be greeted with a warm smile. Sony Gao (co-owner) moved from China to Japan when he was only 14 years old. At that point, he began to learn how to make sushi and sashimi by working side-by-side with an experienced master sushi chef in Tokyo. It is quite obvious that Sony was an excellent student. His attention to even the smallest artistic detail is quite amazing. Notice how he even turned the Aji Mackerel tail and a cherry stem in the same direction. 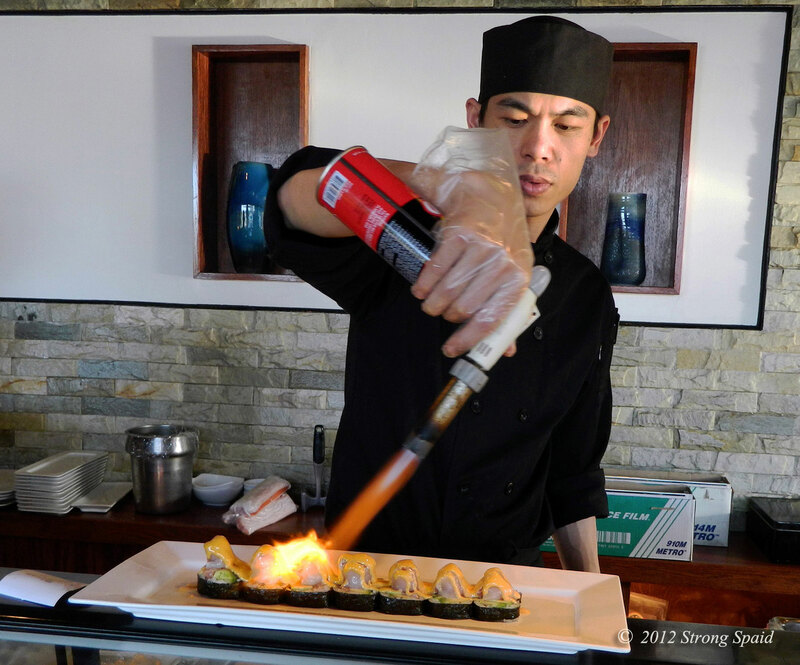 The food at Umi is figuratively, and sometimes literally, on fire. 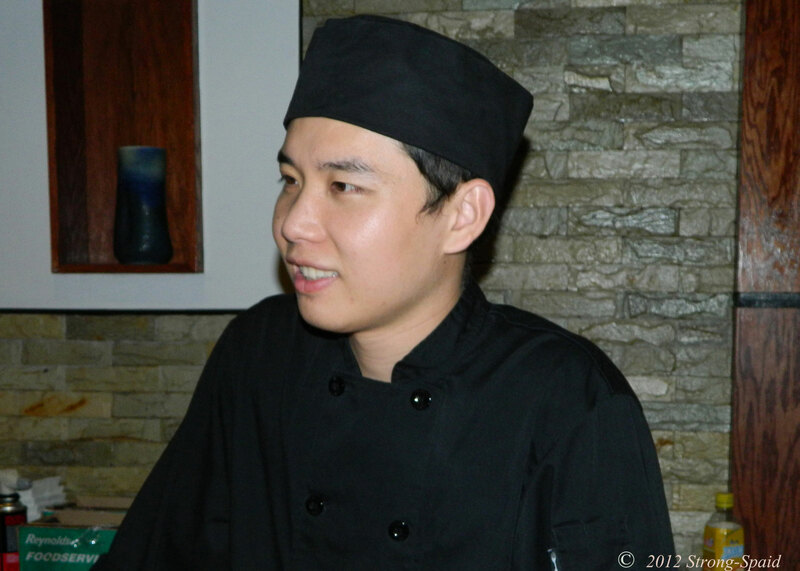 Jasper Lin, Sony’s protegé, is also an extremely talented sushi chef. 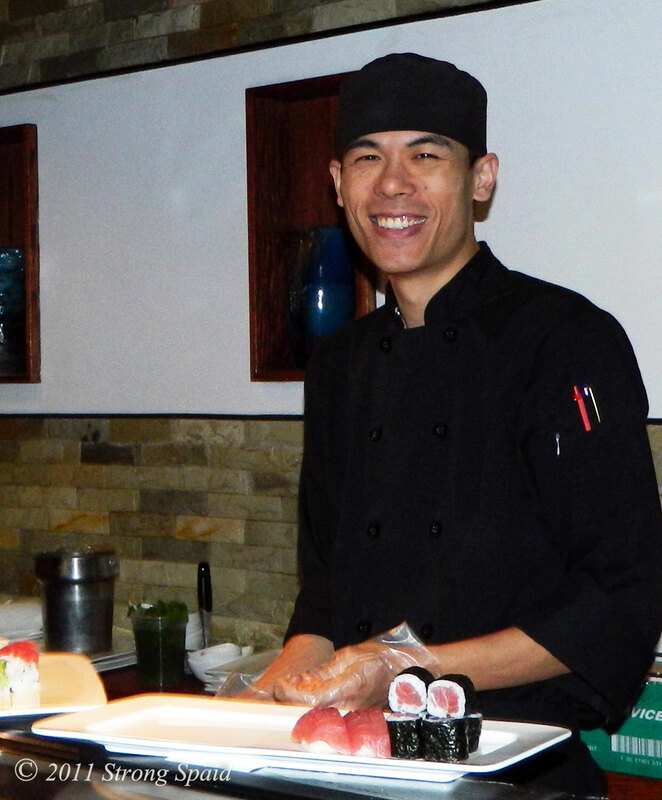 Always full of energy and spirit, people love talking to Jasper and watching him make interesting new dishes (he usually explains what he is doing to the people sitting at the sushi bar). 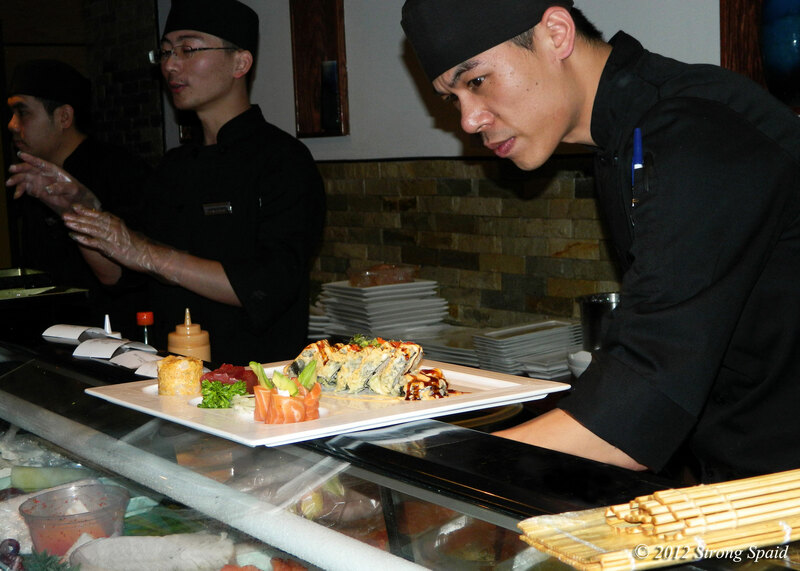 Paul, the newest sushi chef, does a great job helping the others keep up with the ever-growing demand for more sushi! The wonderful ladies of Umi—Grace, Rachel, Melody, and Lynn—keep the restaurant running smoothly, and always take the time to assure that everyone feels welcomed and at home. 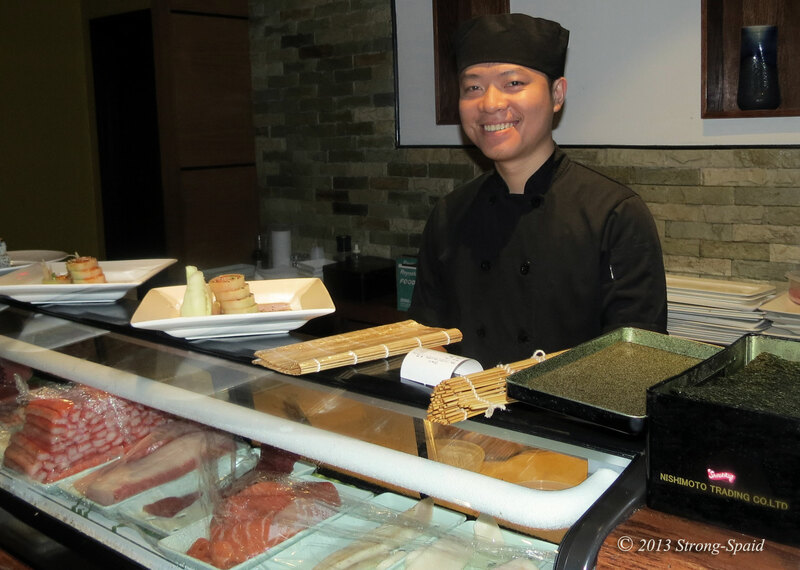 This entry was posted in food, Nutrition, Photo Essay, photography and tagged sashimi, sushi, Umi Japanese Cuisine, Umi Japanese Fine Dining. Bookmark the permalink. It looks FANTASTIC, Mary! What a treat, yummy delicious and a treat for sore eyes. Excellent! It really is great art…the eyes of my camera are happy too! Thanks! I took a friend to Umi one night and she was afraid to try the sushi. Sony came over with one of his marvelous “Tuna Spoons” and charmed her into trying one. She loved it, but then….she still decided to order steak for dinner instead of sushi. And actually, that was very good too! Great post! So many dishes – how did you manage to finish it all?! We have been going to Umi just about every week for a little over two years. We did not eat this in one night! These are only some of the photos that I have taken–I have many more. Incredibly beautiful and artistic. You are really good at capturing them too! I find it very difficult to take photos of food – seem to be hopeless at making them look as tasty as they really look in reality. Sometimes it’s difficult to overcome that I will have to destroy those works of art by eating them too.. I did read that, if you put a very thin cloth over the flash, it will diffuse the flash nicely. But, for whatever reason, I haven’t tried that yet. Thanks for posting! Incredible photos, and I can’t believe I’ve driven past this place dozens of times and never really gave it a thought (and never really even noticed it to be honest). This is now on my short-term “to do” list! Steve! The outside of the building is deceiving, I agree. I drove past it for about a year before I went inside–and then I was so wonderfully surprised. You should stop by when you can. Ha!! Tell them Mary sent ya! My husband Tom and I always sit at the sushi bar. It is really interesting to watch them make things. Umi does get busy at night, especially on the weekends. They do take reservations, but we just come right before 6 pm, to avoid the rush. The hours are 11 a.m until 10 p.m. (I believe they are open until 11 pm on Friday and Saturday nights…but I’m not totally sure about that). The food reminds me so much of Hawaii! It’s really, really good. Thank you for taking us to the virtual dinner! Great pictures and experience. 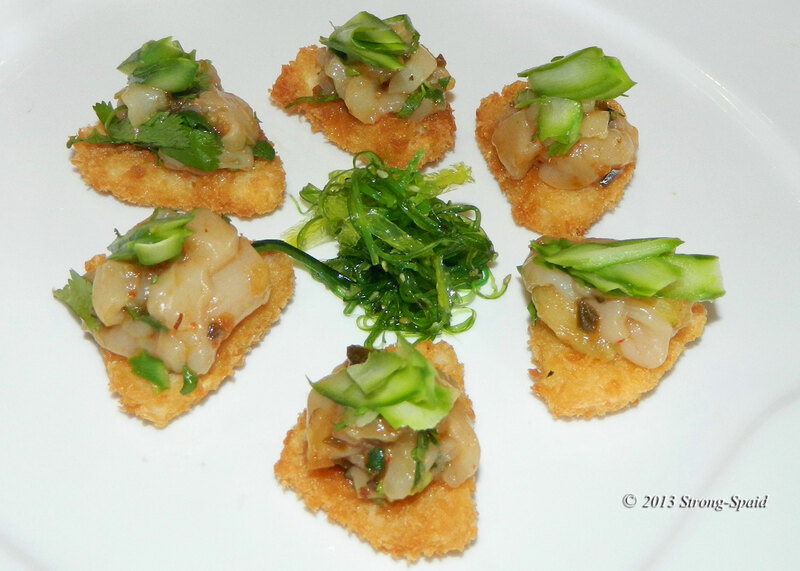 I see so many photos of food (from all around the world) on WordPress. AND I am always wishing that I could take a spoon and reach into the photos for a taste…. What an amazing artistic presentation of food! Who knew? And so clever of you to document the whole experience with gorgeous photos and history of the artists. And the history of my husband….who kindly takes this lady (who takes pictures and makes stories out of her food) to dinner every weekend. WOW – art and it is edible – YUM!!! Yes. Not easy to decide whether I want sit there and look at it for awhile longer….or eat. Thanks for this lovely delicious and artistic journey through one of your favorite restaurants! I loved seeing and reading every bit of it! Nice to “virtually” see and talk to you again…always a pleasure. Great pictures! I bet you are wondering why you hadn’t tried sushi sooner! Oh, I had tried sushi before. I lived in Hawaii for about 11 years. 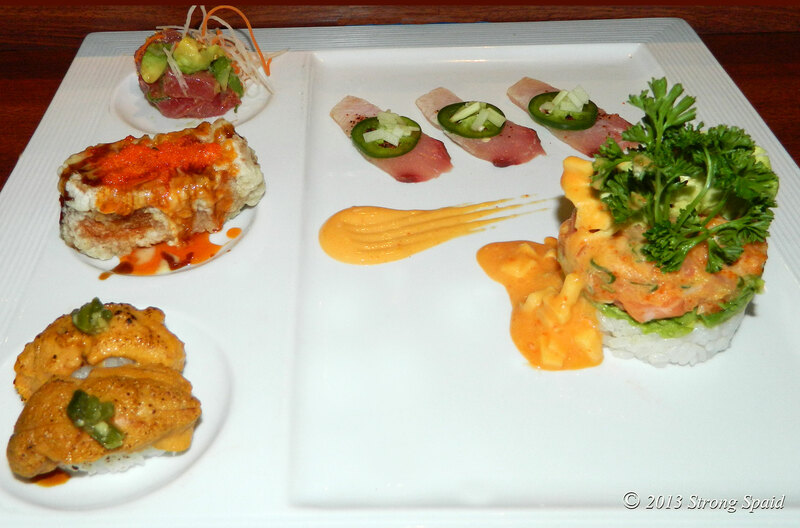 So I wasn’t happy with the sushi anywhere else…until Umi. 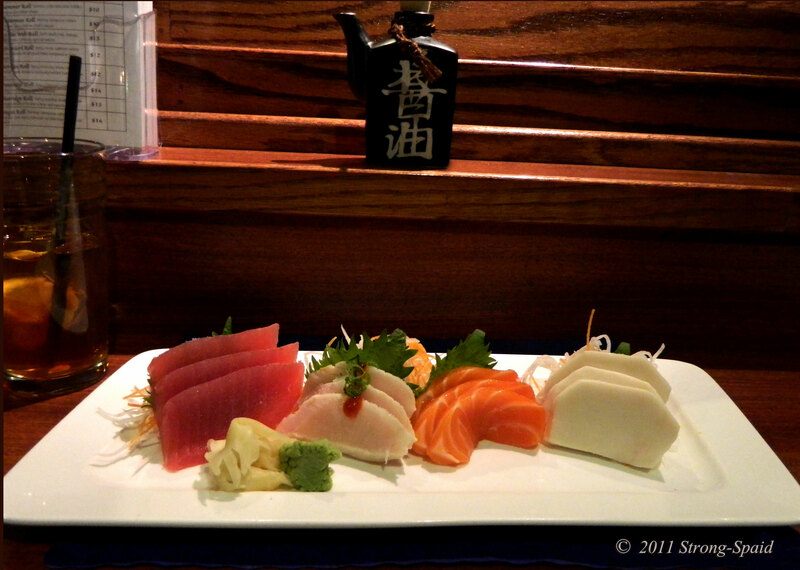 I was so excited when I found such great sushi and sashimi right here in Fredericksburg, VA….only a few miles away. I couldn’t believe it at first! I felt like I was back on the islands. So happy!! Ahhh!!! I will have to try the place in Va when I pass through this summer. Fredericksburg is always a place we stop for the night on our way down south! Sounds like a great idea to me! However, if you are traveling through at night on a weekend, you might want to call in advance and get a reservation…so you don’t have to wait. And the extra bonus…..it tastes as good as it looks. By the way, I was reading what you wrote on your Gravatar. Especially when the weather gets cold….give me a few more hours underneath a warm blanket! Your photography of the sushi is gorgeous! Thanks Amanda….I appreciate the compliment! 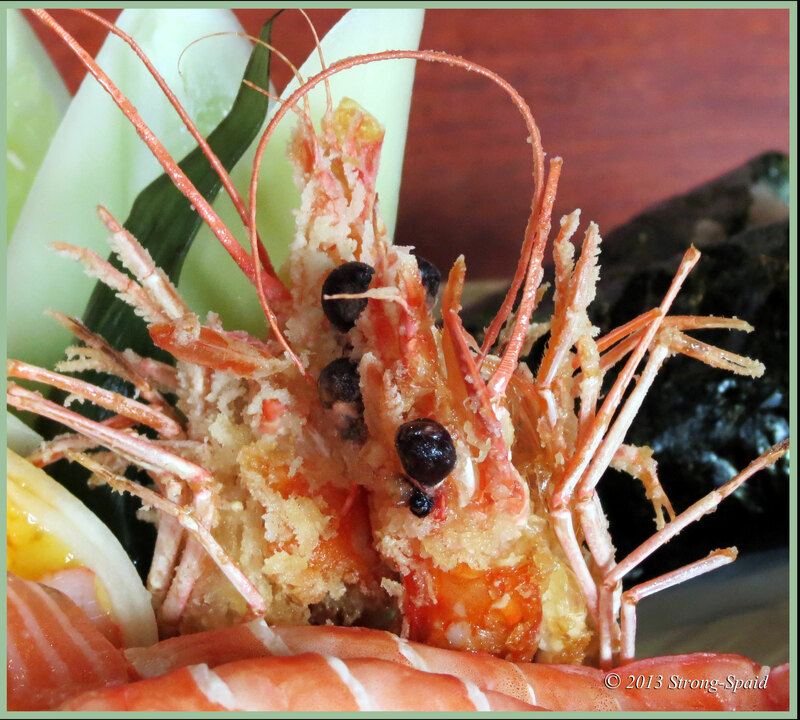 Japanese food is elegance and finesse. Love it. If my food looks like this, I would probably think twice eating it. Just kidding. It is so beautiful, sometimes I just want to keep looking at it. BUT….I know if I took the food home and tried to frame it like a photo, it just wouldn’t work. I looked at your website. Enjoyed the tour of Seoul. I have never been there. Hi Mary. It’s never too late. You shall visit it too. It is surprisingly cheap to travel Seoul. They sure look delicious! My mom would love this post because she loves japanese food! Thank you. I’m like your mom. I love it. Japanese food is very healthy, especially in comparison to some of the “fast food” we have become accustomed to eating here in the U.S. 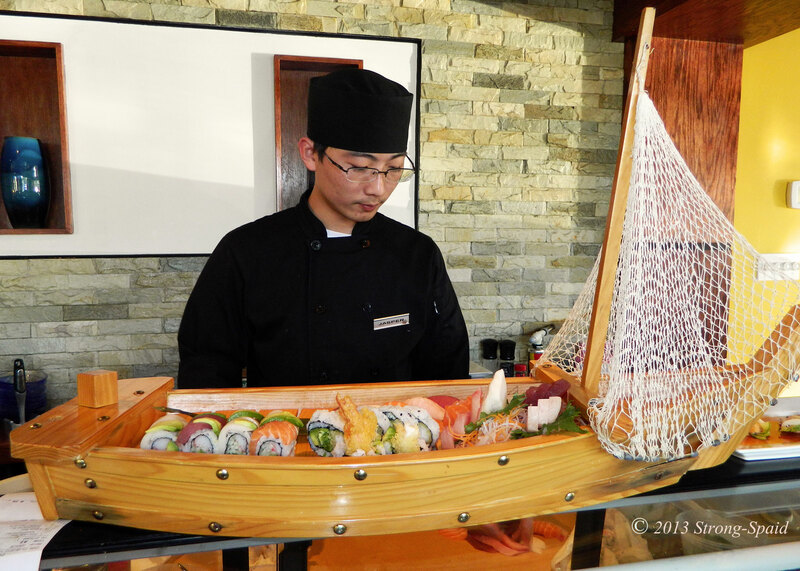 I leave the sushi and sashimi making to the experts. I am admittedly not that great of a cook….and I am also not that good with sharp knives!! Photos of perfection. Beautifully done Mary. Love them all. Thanks Jerry…thanks for stopping by! You’re very welcome Mary. Sorry I hadn’t been by more. I know you are a wandering soul….much like myself. It’s not something I care to give up anytime soon Mary. Thank you so kindly for your encouragement, comments and above all, compliments. I will try and get by more often. I appreciate your recipes. I grew up in a very large family, so I learned how to cook incorrectly. Spaghetti sauce consisted of 1 or 2 cans of tomato sauce and about 5 cans of water or more (to make the sauce go farther and feed more people). Lunch was generally a peanut butter and jelly sandwich, which I like but….. Beautifully done. 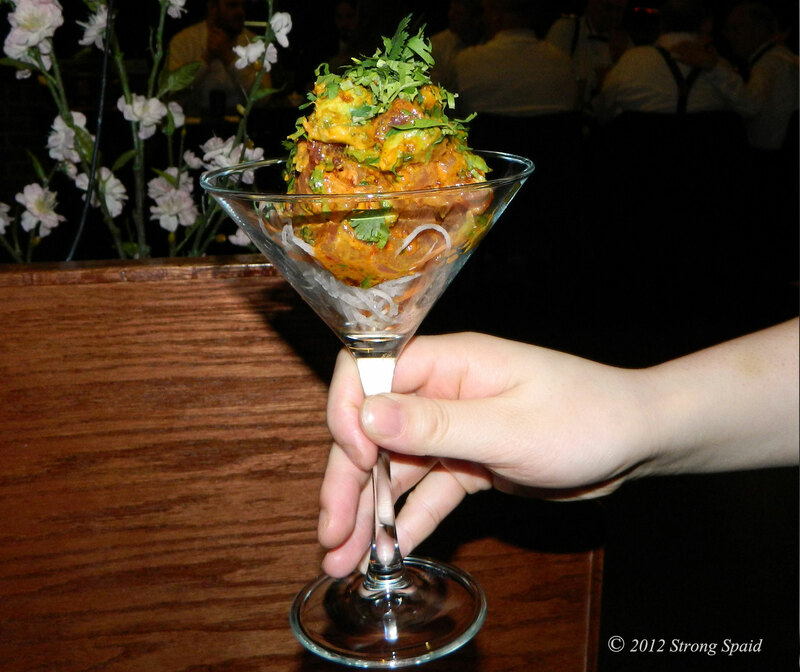 The Umi chefs sure know how to artistically present food. Definitely! And it tastes as good as it looks. Great photos. Love sushi, and one of my favorites is unagi (eel) sushi. Do you like that, too? Yes, I like unagi too. Raw sea urchin (uni) was a little bit too strong for me though, until Sony “torched” it a little and added some sort of seasoning to it…..then it was awesome. I enjoyed a lot of beautiful photos. Thank you for sharing the photos. They are slightly different from original Japanese sushi. But it’s splendid to have added an original style to match the US. I think that the sense of the youth is alive. Yes the sense of youth is alive. Hopefully it is alive in all of us, regardless of our age. A true master is not afraid to approach the world with childlike wonder, combining wisdom with play. Once basic knowledge is firmly grasped, then there is room for unlimited imagination based on that discipline and understanding. This is what I see reflected in these photos–Pure joy!! Apart from a story of the age, you told the essence of art and the technique. They are artists! Incredibly beautiful food art and photos! No wonder the restaurant is a great success! Thanks for sharing. They have proved that if you love what you do, all things will follow. At first I just scrolled through the photos, but being a fan of japanese food, I had to back to the beginning and read the whole article. I think I’m hungry now… 🙂 And your photos make the food look so delicious. Yes, photos of food make me hungry too. That’s why I try not to look at photo blogs about food in the middle of the night! They are artists! And your photos are art! I hope they all got to see your blog somehow. Thank you. They have seen it….the restaurant is not to far from my house. Lucky me!! I’ll bet they loved it. Wow! This post made me hungry. Your descriptions reminded me of finding faces and castles in cloud formations. Looking at these photos makes me hungry too. AND…Oh yes! Clouds are so much fun. Oh, how I love sushi! 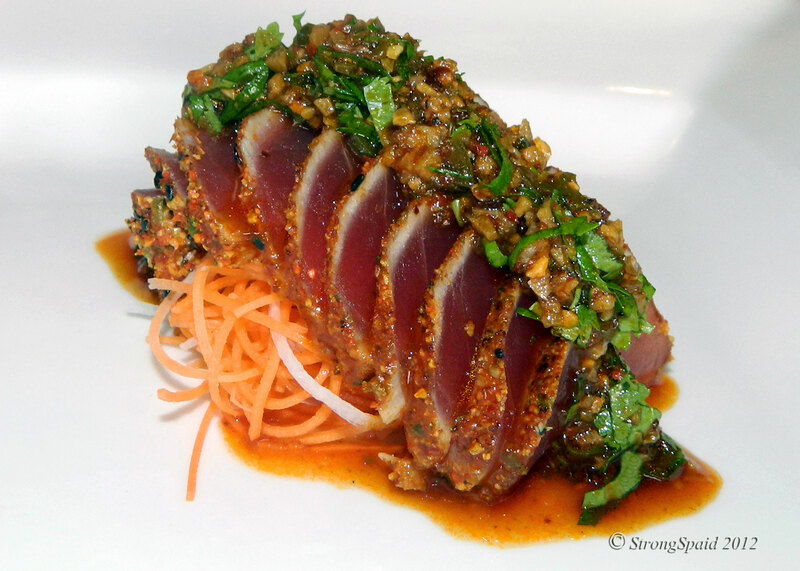 And, oh, how I wish there was an Umi in my backyard!! My mouth truly is watering. The saying “we eat first with our eyes” is so true, so I appreciate your need to take pictures of these works of art. Wonderful story, beautiful photos – what a tribute to the talented people who make Umi what it is. Thanks! It’s almost in your backyard, except the dreaded trip on I-95 south is in the way. There is another UMI being built in Garrisonville Virginia—slightly south of Quantico. I agree with you….100% ! These pictures are amazing. I’m salivating and you’re correct, the artistry deserves to be photographed. Wow! I will make sure to tell Sony that the artistry at his sushi restaurant is so appreciated. It will make him smile! And now I live in Texas, not Virginia. 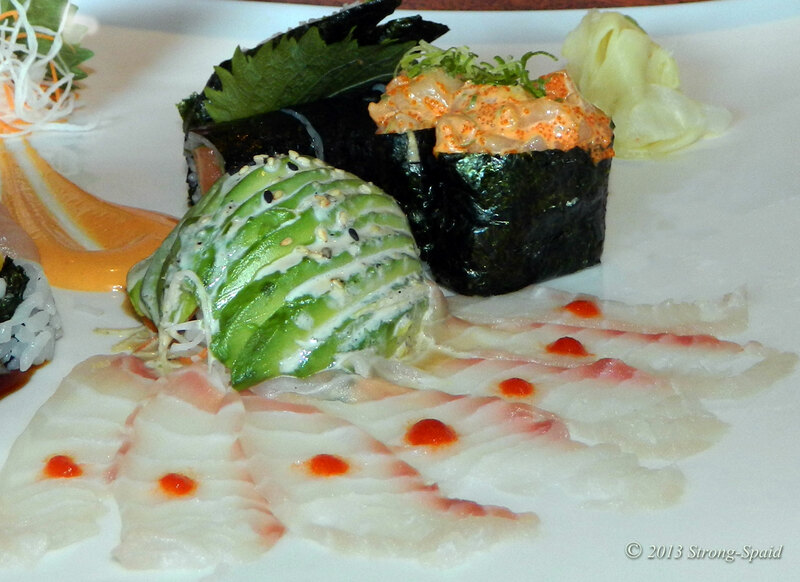 I miss the great food and people at Umi, but I simply can’t get there anymore. Too far away! So far, I have not found another place like that…and I don’t think I ever will. One day I hope to take long leave and holiday in the USA. I want to drive west to east across the south and eat everywhere. I then want to drive north and try all the sandwiches along the east coast.